You cannot think of Lucknow without talking of Tunde kabab. My luck changed for good in 2001 (luck then, not now-couldn't resist this pun). I worked at IIM Lucknow. Some amazing students and colleagues made my life there memorable-Akbar, BK Mohanty, Shailendra Singh, Bharat Bhasker, Vivek Gupta are some I spent a lot of time with. Avinash Mulky, Madhu Karmakar and Vinay of course were a part of a social group too. 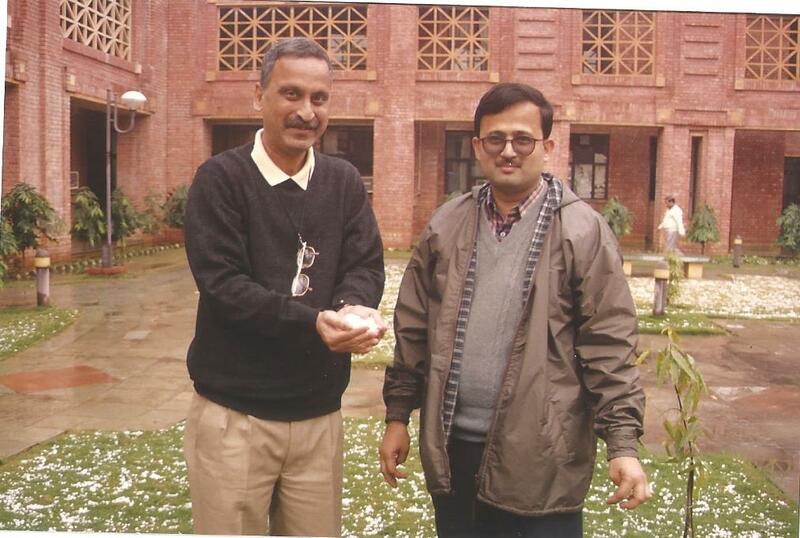 A hailstorm in which Avinash and Vivek pose with evidence. Relaxing on the lawn with Mohanty and Harish who was visiting from Delhi. 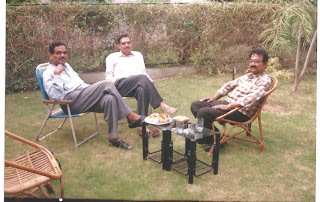 My IIMB classmate Manoj Nakra visited. 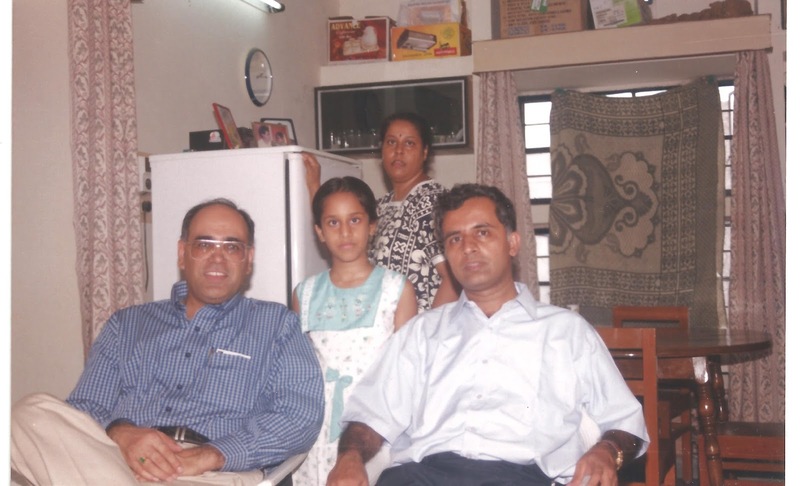 So did Sajeev Menon, and Nidhi from KIAMS with hubby. 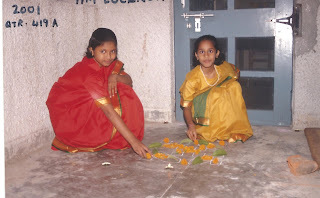 Prarthana and Pooja decorating the front of our house. Anjula Gurtoo was our vertical neighbour, and we have stayed in touch ever since.